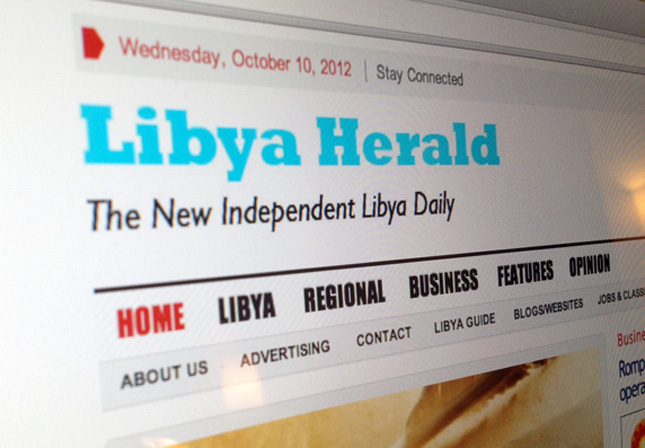 What made the Libya Herald a prime international news source on Libya so quickly? In less than 4 months, since February, the online newspaper Libya Herald has become one of the most popular English language news sources on Libya inside and outside the country. The number of daily hits on the Internet has grown in a steep upward curve from 50,000 in April – to more than 120,000 daily hits in June. If you read the Libya Herald on a daily basis it is clear that it is the quality of the content, rather than smart design, fancy images and applications that is the reason for the success. The news coverage is relevant and balanced. “Good old classic news reporting should be our trademark”, says British Michel Cousins, one of the two editor in chief – and the owner of the new online newspaper. 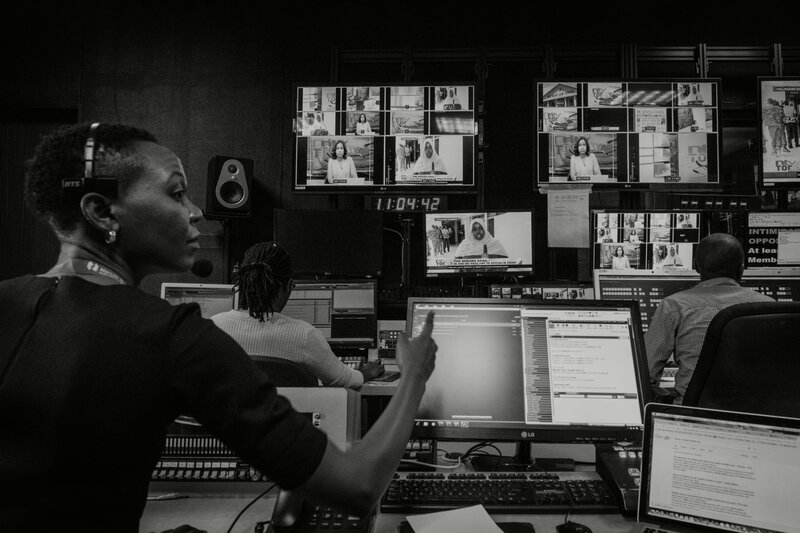 From the beginning it cost Michel Cousins more than 10,000 USD a month out of his own pocket to keep the Libya Herald up and running. His choice to cover the Libya Herlad’s costs personally is not because he is wealthy, but because he loves Libya, feels like a Libyan and thinks that he owes the country and its revolution this contribution. Michel Cousins knows very well that he cannot continue forever, but May´s revenue on advertising, 8,000 Dinars (6,500 USD), gives him hope that the paper’s economy will break even sometime in the near future or at least keep his costs down to 3000 USD for a period. But why this risky effort to start a new Libyan media? Michel Cousins’ British family came to Libya in the early fifties where he was brought up until the age of 10, his father working in aviation. In 1960 he was sent to a boarding school in Britain. But he came back on holidays every year for Easter, summer holidays, because he felt like a Libyan – and when the family was kicked out in 1982 by the Gadaffi regime, they were the oldest expatriate family in the country. At that time Michel Cousins was working as a Middle East journalist covering Libya. In February 2011, while working as a deputy editor at Arab News in Jeddah (probably the biggest English newspaper in the Arab world), he saw a picture of a young Libyan on a balcony in Benghazi waving the old Libyan flag – and his immediate reaction was to scream “it is the flag!” – into the news room in Jeddah. Nobody understood what he meant, but he instantly knew that waving this flag would probably mean a revolution in Libya. From that point he started writing from Benghazi, covering the revolution and when people realised how much he knew about the “old Libya” before Gaddafi, he was considered an important source on what it really meant when many Libyans wanted to express their dreams of a “new Libya” built on a foundation of the “old Libya” before Gaddafi’s revolution in 1969. Again returning to Libya in January this year, Libyans began suggesting to Michel Cousins that he start an English language newspaper. He decided to do so, but together with a Libyan companion whom he found in Sami Zaptia who was also considering starting an English language newspaper at the time. 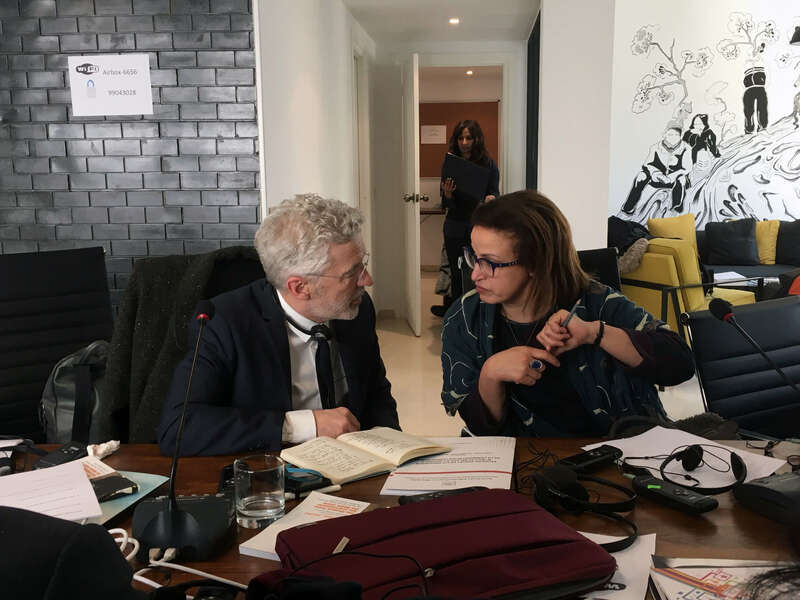 Michel Cousins and Sami Zabtia’s aim is still to make a print version of Libya Herald – both in English and Arabic, but financing and the lack of dependable print services in the country are factors that keep the two entrepreneurs hesitant about taking this step forward. So for the time being, the ambition is to further improve the quality and the range of Libya Herald on the Internet where 28% of the readers presently are inside the country and 72% are overseas, with a majority in the US and British. 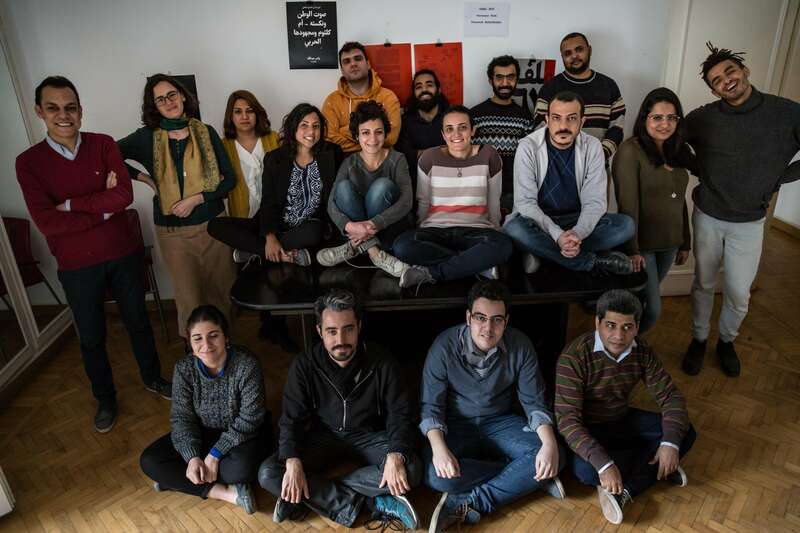 The staff counts two full time reporters, one Libyan, one British, 1 translator and 8 part time reporters and online editors. 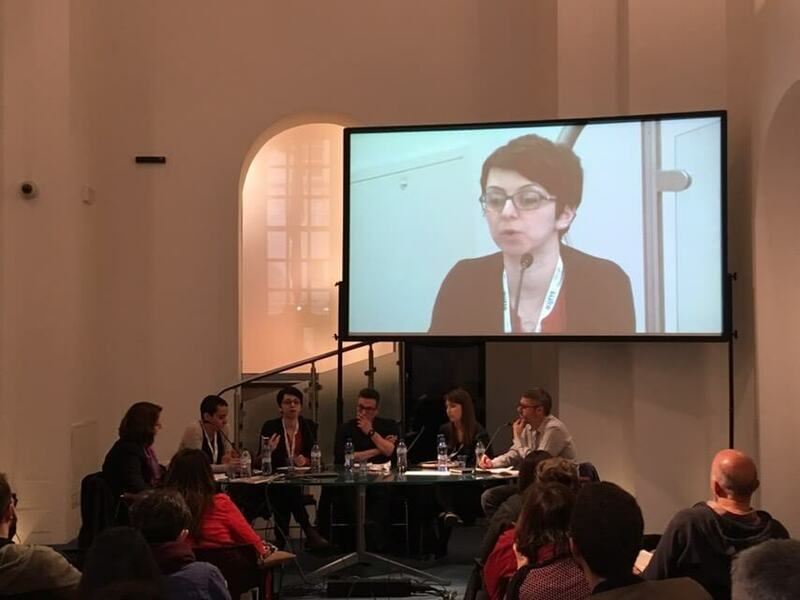 Also important is the training and mentoring of the inexperienced Libyan staff to ensure a paper that is run solely by Libyans in future, where the online newspaper can take advantage of the good reputation Libya Herald has already built, not least among those now busy building the new democracy – the government sector and the civil society. This is a democracy-building that Michel Cousins strongly believes will succeed at the end of the day, helped by the encouragement from Libya Herald amongst others. It will not be a process without setbacks, he believes, but these setbacks will not hinder the development of a nation which he expects will surprise the world by continuing its development from the point the country left in 1969. According to Michael Cousins the country will quickly develop into a major player in the creation of a powerful Northern Africa alliance, with strong links to Europe and the US, maybe even becoming a member of NATO at some point. “Libyans have great common sense”, says Michel Cousins. Readers concerned with Libya’s future now have an easily accessible and independent international news source inthe Libya Herald. It is a news source that, according to Michel Cousins, so far has not experienced any restrictions in their reporting and a news source that he will never allow to be owned by any single investor. Michel Cousins is adament that if the newspaper needs more investments, it will be shared amongst seven to eight different investors in order to ensure The Libya Herald’s independence and avoid undue influence from one powerful investor only.